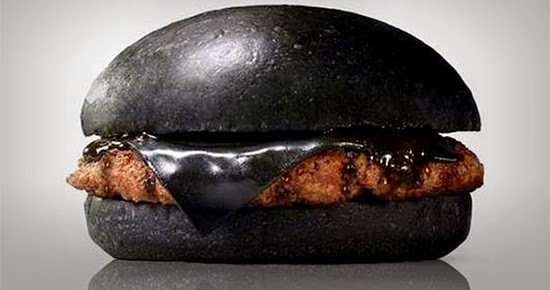 This may looking shocking, but this black burger is true - very true. 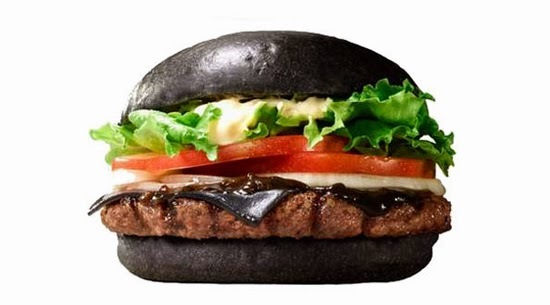 This is not made of plastic but real burger ingredients colored in black. The buns made from bamboo charcoal, an onion and garlic sauce made with squid ink, beef patties made with black pepper, and black cheese, which is also apparently made with bamboo charcoal. Both squid ink and bamboo charcoal are commonly used as food additives in Japan. Post by BURGER KING JAPAN ／バーガーキング・ジャパン.